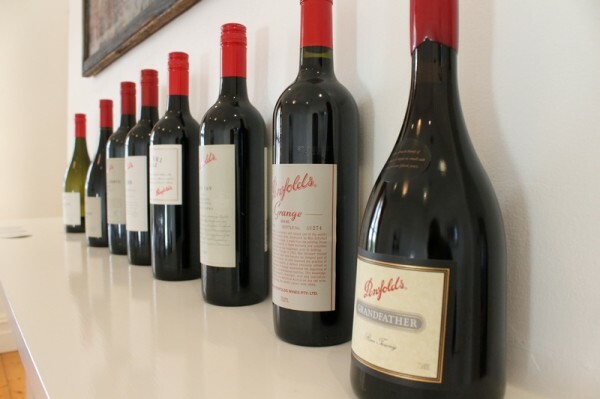 It’s clear from breakfast alone that Penfolds isn’t afraid to flaunt success. Visiting Penfolds’ Kalimna vineyard site in Australia’s Barossa Valley, a group of East Coast sommeliers and I were greeted by a vast quantity of mung bean pancakes, spring rolls, Coffin Bay oysters, and 60 degree eggs so large that I suspect one would have fed most of their vineyard staff and still have produced more than enough leftovers for me. 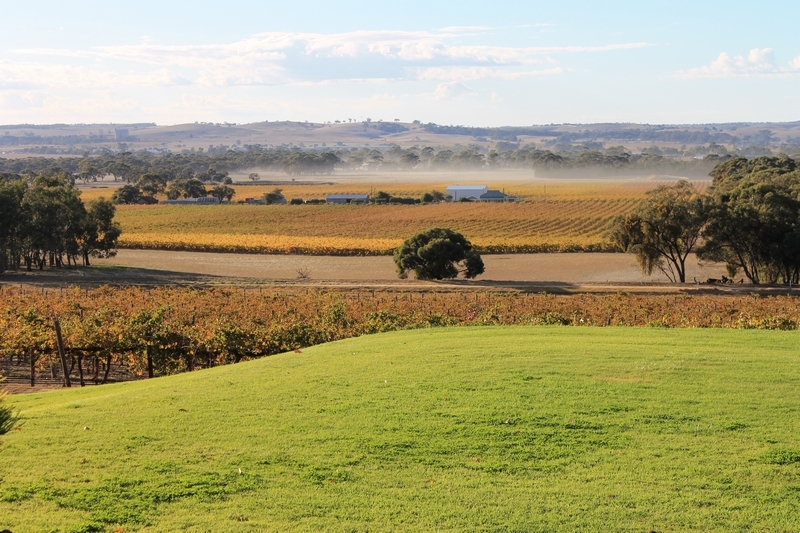 When I visited Penfolds earlier this year, the surfeit of gourmet food came with an equal surfeit of facts, figures and history, all clearly meant to dazzle. Kalimna is home to the world’s oldest continuously-producing Cabernet Sauvignon vines. And from them now comes the most expensive new-release wine in the world. Just one of the twelve bottles of Cab produced from those famous vines will set you back $168,000. Our breakfast spot was surrounded by vines planted a mere eight years after the nearby city of Adelaide was first founded. 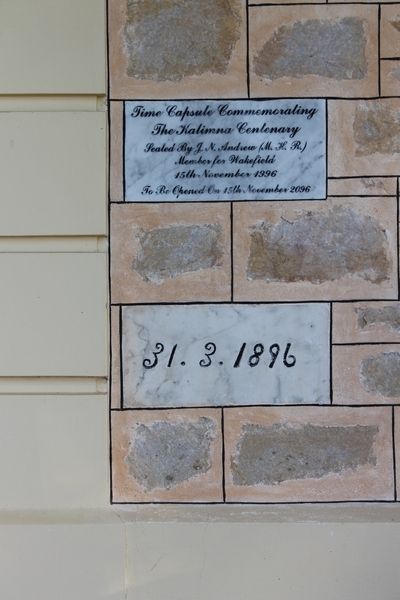 It’s now a Heritage Site, and winemaker Stephanie Dutton noted, “For every single vine we pull out, we have to prove [to the Australian governing bodies] that we’ve put two back in.” Penfolds considers their Barossa winery to be a “new” spot in the region, having been built a mere one hundred and one years ago. They also now enjoy a collective one hundred and fifty years of winemaking experience accumulated by their current staff. But for all the history, notoriety, accolades, and figures, I couldn’t help wondering if Penfolds might have a bit of an inferiority complex. It certainly would help to explain why they felt the need to give a breakfast that few could ever forget to a room full of U.S. right coaster sommeliers who are no strangers to fine cuisine. Consider this: assemble any number of wine geeks—five, twenty, fifty, it really doesn’t matter—and ask them to debate which of Australia’s wine producers should rightfully claim bragging rights for offering up the greatest Shiraz, and the discussion will invariably crystallize onto two names, both hailing from Barossa. It won’t matter how many of those producers you start with (five, twenty, fifty…), that soup of a debate will still almost certainly boil down to two—and only two—names, if pedigree, consistency and longevity have any merit in the comparisons. It always comes back to Penfolds Grange, and what seems its equal and opposite in many ways, Henschke’s Hill of Grace Shiraz. 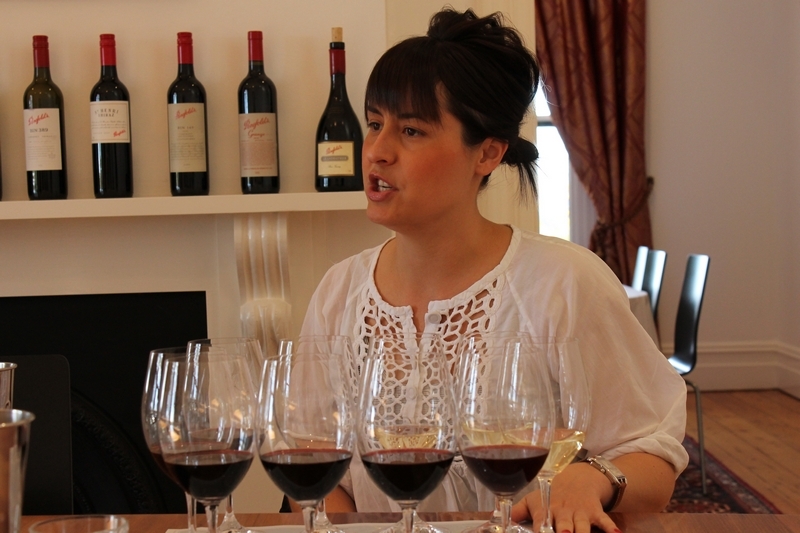 The wine geek debate doesn’t seem to be about whether or not Grange is a truly great wine. (Grange has been described to me as “no question an exceptional wine” by Kilikanoon’s founder and senior winemaker Kevin Mitchell, and as “extremely long-lived” by Master of Wine Lisa Granik.) It’s also not about whether or not Hill of Grace is worthy of the Aussie Shiraz title, either (good luck finding fine wine buffs who will bet against that one). The debate is about which of the two is inherently greater. This is where things take on enough of a philosophical bent that it would have made fitting fodder for the longest of Grecian symposia—or any sports bar full of Yankee fans when the Mets are on the schedule. Grange lovers, on the other hand, will readily point out that their favorite wine also represents a place, it’s just a much larger “place” than the Hill of Grace vineyard. Penfolds sources fruit for Grange from all over the Barossa, picking and choosing only the best-of-the-best grapes from the best-of-the-best sites, allowing them potentially higher production volumes than Hill of Grace, presumably without compromising flavor, style, quality and longevity across vintages. Unlike Hill of Grace, this sourcing strategy makes Grange a wine that can almost certainly be made every vintage. And Grange has the pedigree of history (as well as the re-corking parties, which incidentally “turn up a surprising amount of fakes from Asia” according to Dutton) to prove it all works, also resulting in a hefty price tag. Few producers outside of Bordeaux have the ability—or the raw material—to pull off that winemaking approach successfully. If you’re looking for a track record, the book of tasting notes detailing each and every vintage of Grange from its first releases many decades ago to the current day is now in its seventh edition; some classics in the English literary cannon haven’t run that long. After having tasted the most recent releases of both Hill of Grace and Grange, I can say with confidence that asking which of these wines is “greater” is fundamentally asking the wrong question. You’re better off asking Burgundy or Bordeaux, Marvel or D.C., Democrat or Republican, Beatles or Stones, Mets or Yankees, son or daughter. Nearly impenetrable at first, the gates are up on the castle walls a bit here, and the wine takes a while to reveal itself. But from behind those walls of assertive tannic grip come wafts of aromas that hint at what this wine will become—namely, extremely complex. Exotic, sweet spices are at the forefront, followed by florals, perfume, cedar, cinnamon, smoke, blueberries, chocolate, dried herbs and eucalyptus. Blackberries, blackcurrants and savory balsamic notes round out a nose that becomes prettier and prettier as it the wine warms and gets more expressive and revealing. In the mouth this Grange is big, assertive, and structured, with a fantastic tension provided by a contrasting silky texture and a core of tangy red plum fruit, all of which takes a ride on a finish that has very clearly decided to take the long way home, and bodes well for a drinking window that might include your grandchildren when they’re of drinking age. The result of a vintage made troublesome by drought, and further complicated by a conversion to biodynamics that was also underway at the time. This is an effort whose elegance belies the struggle of creation (for both the grapes and the people) that went into making it. 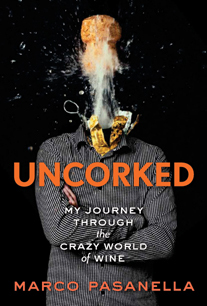 Low yields resulted from that struggle, which has born a wine that’s as seamless as Shiraz gets. Blue and black berries, plums, tangy red berry fruit, nutmeg, pepper, tar, Mexican chocolate, and eucalyptus aromas unfurl like flags. The palate is all tension-and-release, pulling between pithiness and vibrancy, then astringency and seductiveness. It’s all rounded out with spices & dried herbs, finishing with so much meat that you might be momentarily convinced that you’ve just walked out of a deli. I am living through you right now! 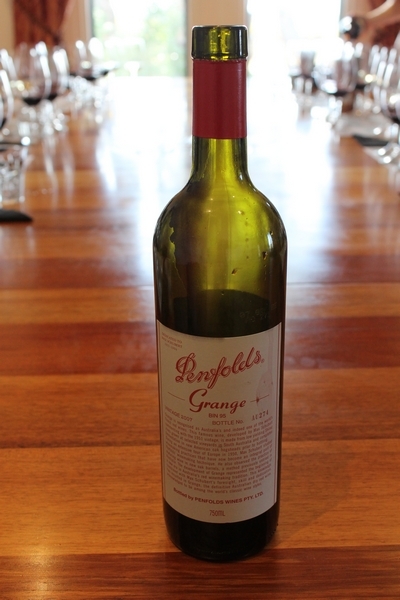 Years ago when I took an Aussie wine course I started a continuous drool for Grange. I have yet to break the bank to quench that thirst. It surely sounds like an experience I wouldn’t soon forget though. My passion for wine kicked off in 2005 with a 98 ‘baby grange’, which sparked a passion to try the real McCoy some day. I eventually bit the bullet and bought a 98 Grange last year. a) it was stunningly good – a near perfect experience for me given the anticipation over seven years and the pure class of the wine. Dan – woe to the wallet that needs to pursue either of these wines more often than what you experienced! Part of what makes them special to us, as consumers, is that they’re actually *worth* the expense, I suppose. Cheers! Jason – yeah, that’s an expensive habit. I wonder, despite how amazon these wines are (& they are that), what most of us would guess the price to be if we tasted them blind in a lineup of the best Aussie Shiraz wines. $250 a bottle, maybe? I’m sure we’d know we werre tasting something special, but I’m not at all sure we’d guess prices like these. For what it’s worth, I encountered more people who fell into the HoG camp than the Grante camps when I toured Oz, and if I was spending the cash it would be on HoG (but that’s just exercising my personal preference, really). Cheers! Whoops- mean amazing (though amazon sounds kinda cool, too! :).